There are tons and tons of websites available on the internet and thousands of websites are born every day so its getting important to attain a good website ranking world wide.Alexa is one of the most popular website ranking community of the world.Alexa has a very decent way of calculating its ranking,it simply calculate all the ranking by the means of unique page views given by every user on each day.It even shows country wise ranking,It changes its websites ranking on daily basis even now Search engine bots are taking Alexa's top ranked websites important.So to improve Alexa ranking is becoming compulsory to increase your websites traffic.This is the reason why today we will discuss how to improve your Alexa Traffic Rank. This is one of the oldest tip to increase Alexa Rank but its still has its importance.Creating a toolbar for your website with Alexa will improve your ranking quite handsomely to create a Alexa toolbar simply go to http://www.alexa.com/toolbar-creator and ask your visitors to use it and explain them its importance. You can ask your visitors to gave a positive review of your website at Alexa.This is boost your Alexa Ranking. So thats how you can boost your alexa traffic.Each and every tip listed here has its importance so you must use them as they will lead you to improve your Alexa ranking.If you have any question feel free to ask. Thank you for posting these tips. I hope I’m getting enough traffic for this to be on the top 10 results on search engine. I’ve been doing good on using the keywords though and they are really effective. 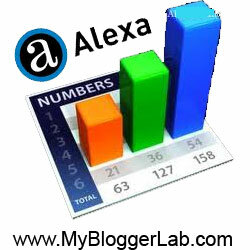 Nice tips to do for better alexa rank. I have done everything but it still keep saying "no data available"
my blog is 10days old. Brother It Takes at least 1 month to update Alexa Ranking for a Newly Established Blog, So Please kept patience you will see changes very sooner. Peace Man! Miss Syed Faizen Ali, I need to improve my blog: www.fascinatingengineering.com need some advice, I am new for blog.